When I was a younger rice-picker, when we first came to America, our oldest brother always gave me three reasons to do as he said. With his hand’s knuckled backside not six inches from my nose, he’d count out those three reasons for my immediate obedience. “Three –” curling those two together with his remaining brown fingers into a fist as irresistible as the mighty grilled front of a Ford Galaxy 500. Likewise – but sparing you that big bad brother bluster — there’s three reasons for Asian and Pacific Island Portlanders to get fluoride into our kitchen table talk; to get fluoride into our crystal clear tap water; to get fluoride into our kids’ teeth. Three reasons. Good reasons to feel good about our May 21 vote over fluoridating River City’s drinking water. Fluoride is a naturally occurring element. Like carbon. Like hydrogen. All kinds of water – ocean water, river water, lake water – have more or less fluoride in there. Over 3700 public health studies from the 1950s to the present have shown 30% reductions in tooth and gum decay, from micro-miniscule infusions of fluoride into municipal water. Cavities and rotten gums dropped by about one-third. Today about 74% of American city residents swallow fluoride with their tap water, with their coffee or tea or tooth-brushing. There are no public health downsides. Portland’s tap water is not fluoridated. Portland area kids are troubled by 40% more untreated tooth decay than Seattle’s kids, where city water is treated with fluoride. That’s bad. In a 2004 study comparing Head Start students in The Dalles (fluoridated) with same age kids in Hood River (not fluoridated) – so guess which city’s girls and boys had 50% less dental decay. Speaking in good old dollars and cents: Portlanders will save $38 in dentist bills for every $1 we spend fluoridating our drinking water. Healthy teeth, particularly childrens’ teeth, is an important indicator of the over-all health of our Asian and islander communities. According to current community health literature, bad oral health is coincident with digestive and blood sugar disorders, among other chronic illnesses. Look at it this way, about 150,000 Asians and Islanders live in the Portland metro area. But as big and growing as we are, community health advocates will tell you, we’re a bit slow to speak up for ourselves. We’ve been reluctant to articulate our needs. Today, we have to participate in democracy. Good health is up to us. 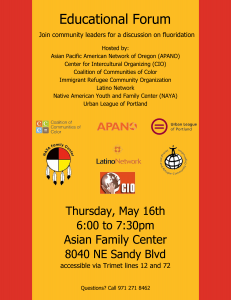 The non-profit public interest organization, APANO (Asian Pacific American Network of Oregon) is all about that. 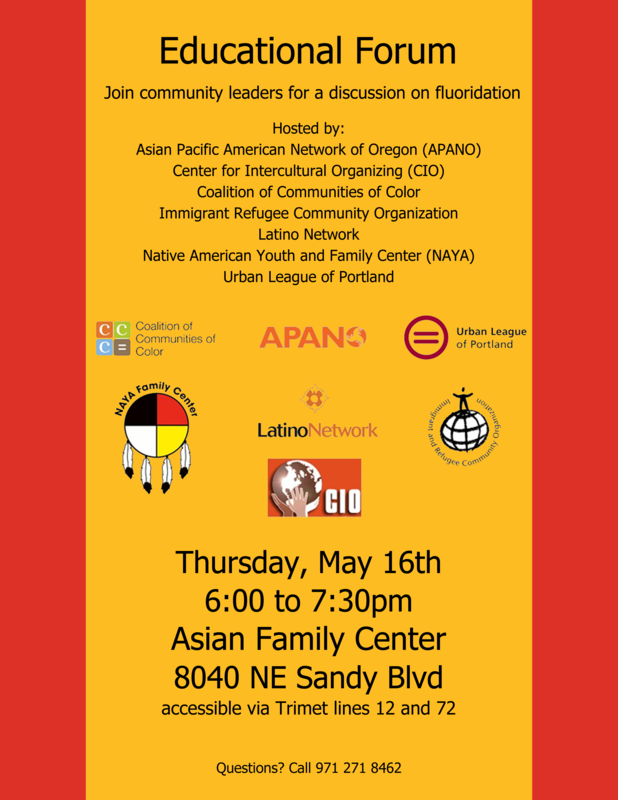 This non-partisan association of Asian and islander elders and activists has done the research and is now taking a position in favor of fluoridating Portland’s tap water. “For months we listened to stories of how rampant, untreated cavities impact our Asian and Pacific Islander communities,” Joseph Santos-Lyons, APANO executive director explains. Participatory democracy requires responsible Portlanders to impress our expectations on those who govern us. 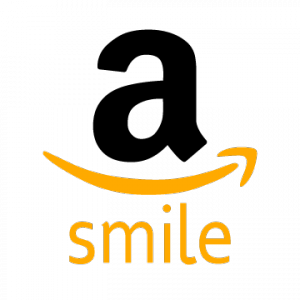 The third finger, my personal reason for doing what we can to get Portland’s drinking water fluoridated, is about owning a nice smile. Having one, ear to ear, means so much. Embarrassment about bad teeth means even more than that. When our family first arrived in the US, like many newcomer families, we knew next to nothing about dental health. After six years in Salem, after my first dentist’s long look into my mouth, he told our mom that I had 12cavities. Though I didn’t know how many teeth an average totok owns, I was pretty sure that 12 rotten ones was a lot. I figured it was going to cost our parents plenty, though I had no way of knowing how painful scraping, drilling, and filling my bad teeth was going to be for me. That dentist fixed that part of my problem, but he did nothing for my crazy-crooked teeth. Again, we had no sense of modern dental health and I had no idea how much American kids cared about my bad teeth. A lot of fun, they made of my smile every time I was happy. So I quit smiling. So I quit being happy among my school buds. Soon after that I stopped having a peer life. A lot of unhealthy things followed. Having APANO around would’ve helped back then. “APANO endorsed fluoridation after carefully considering the evidence from our community’s trusted experts and institutions,” says the Rev. Santos-Lyons. “We considered our communities’ cultural and linguistic barriers to quality health care, and the high costs our families face. Most of all, we considered our children’s pain. The science is sure. Our communities’ health is at issue. Every kid needs to smile, big and often. Three reasons to get fluoride in Portland’s water.